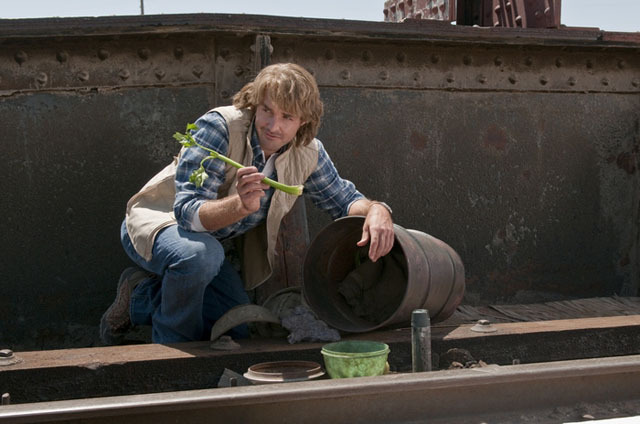 Watching the unrated version of MacGruber and the special features included on the Blu-ray, you realize something very quickly: Will Forte likes being naked way too much. And seriously, what’s with the celery? Spoofing the 1980s-1990s TV show MacGyver, MacGruber began as a Saturday Night Live sketch and should have stayed there. For SNL fans, the movie is full of SNL regulars, including Forte, Kristen Wiig and Maya Rudolph. In the action comedy, Forte plays MacGruber, an ex-special operative who comes back to service to revenge the death of his bride (Rudolph). Ryan Phillipe and Wiig join his team to bring down MacGruber’s archenemy (Val Kilmer), who’s planning to destroy Washington D.C. The movie runs like a string of sketches that are trying much too hard to be funny, an opinion that seems to be shared by the theatrical audience, as the movie grossed only $8.5 million during its run at the box office. The Blu-ray comes with the choice of the R-rated theatrical version or an unrated version that has a whopping four minutes of extra footage. On the special features side, Universal has kept the disc relatively light, offering a deleted scene, a gag reel that’s about as funny as the movie and a cast and crew commentary in which Forte and others chat about what’s going on on-screen.